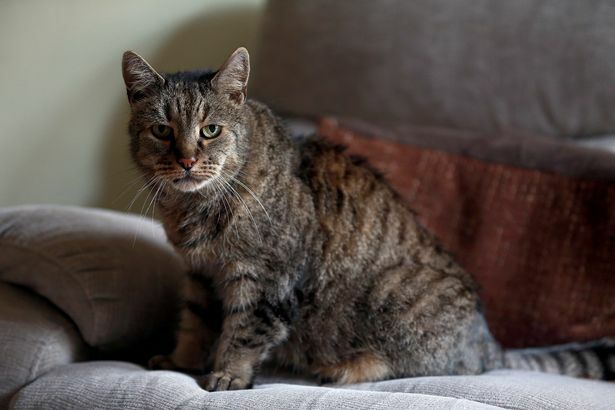 The world's oldest cat has finally used up the last of his nine lives - passing away at the incredible age of 32. Nutmeg the long-lived feline came down with breathing difficulties at the end of August, but vets were unable to save him after he suffered heart failure and he was put to sleep in early September. Heartbroken owners Liz and Ian Finlay say the death of their beloved moggy has left a massive hole in their lives. The couple adopted Nutmeg after finding him in their Tyneside garden in 1990. They took him to Cats Protection, where vets told them he was at least five, making him 32 when he died. Nutmeg was in a bad way when he arrived in the Finlay's garden and was suffering from a nasty abscess on his neck. Liz and Ian managed to coax him into their home with food, before taking him to Cats Protection, who said they could keep the stray as they thought he had been abandoned. Ian said: "He was checked over by Cat Protection, who said the condition of his teeth made him at least five years old and we owned him for 27 years. "He knew where he was going to be well off and he particularly loved my wife. "He was not our cat - we were his humans and he never let us forget that. I think that was the secret to his long life." 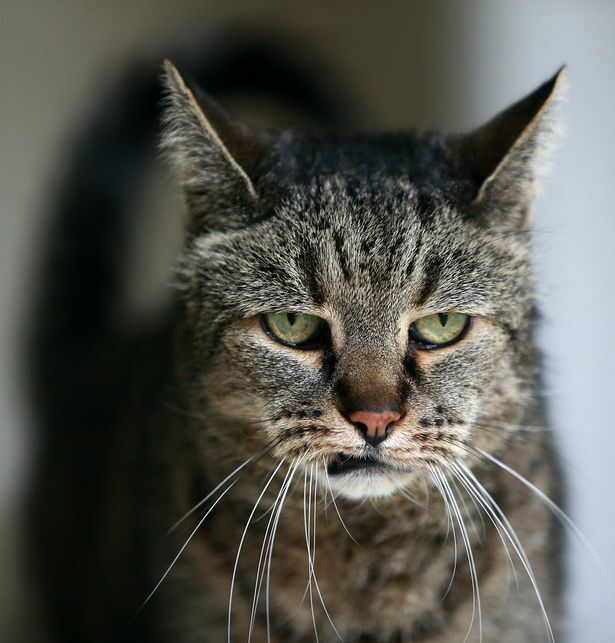 Until his death, he was thought to be the oldest cat in the world, taking the crown of 26-year-old Corduroy, the Guinness World Record holder . The Finlay's tried in vain to find a record and took Nutmeg to the Cats Protection in 1990 to verify their claim. 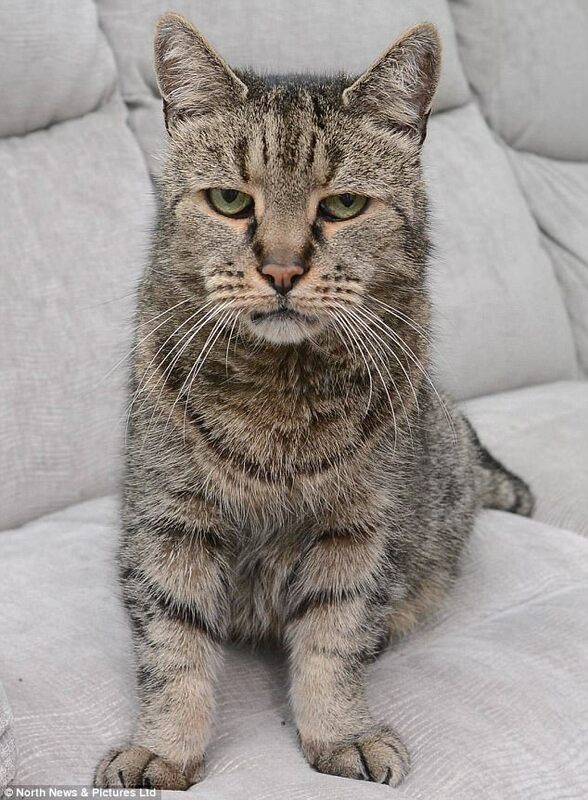 Nutmeg kept outliving all of his nine lives and underwent lifesaving treatment at Westway's main veterinary hospital on West Road, Newcastle, after suffering a stroke in 2015. The moggy marvel battled back to health, but had to be put to sleep following his latest illness, leaving his owners distraught. Liz said: "I feel like my heart has been ripped out. He is such a miss as he was a huge character, who was dearly loved." Nutmeg has accompanied Ian and shop worker Liz on their journey through life as they have celebrated landmark wedding anniversaries, moved house and mourned loved ones. 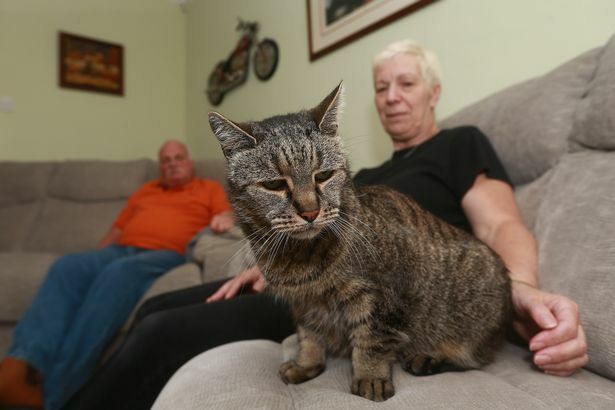 They had no idea they were the owners of the world’s oldest cat until Ian got speaking to a vet from the Westway Veterinary Centre in a supermarket. Ian said: ‘Obviously he had such a long and good life – we spoilt him rotten. I would have loved a little more time with him, but that is just being selfish.